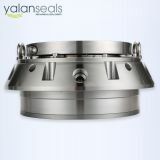 Structural Features: single end, multiple springs, with spring protector, balanced, independent direction of rotation. 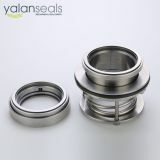 The component is cartridge seal with easy installation. 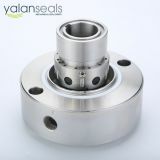 The compensation components are supporting the sleeve. 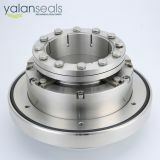 The springs are not touching the subjects so that there will be no jam caused by the high viscosity and crystallization active content. 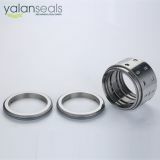 This makes sure the flexibility of the compensation ring and as a result, it lasts the lifetime of the whole component. 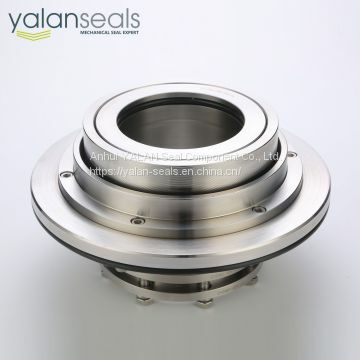 Easy installation, no need to disassemble the seal cavity for the installation. 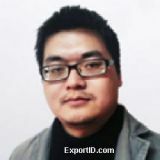 Scopes of Application: mainly used in paper-making equipment, alumina plants, flue gas desulphurization (AKA FGD), deashing system (for power plants) and slurry pumps for industries such as coal washery, mining, sewage treatment, paper making, metallurgy, power plants, and chemical engineering. This seal works as an alternative to similar products of Warmann. 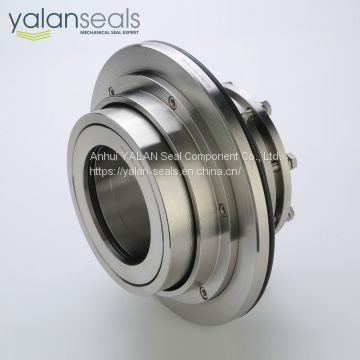 INQUIRY ABOUT ZHJ Mechanical Seals for Paper-making Equipment, Alumina Plants, Flue Gas Desulphurization, Deashing System and Slurry PumpsAnhui YALAN Seal Component Co., Ltd.